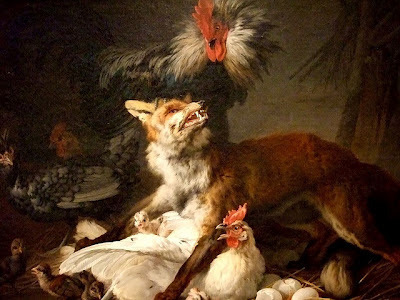 When a fox gets in your henhouse, you don't just sit back and let it take your chickens. You grab the old Model 1906 Winchester and box of hollowpoints and you take care of the problem. The Rocky Mountain Elk Foundation did just that today. Some states hand hundreds of prime limited entry tags over to non-profits. These tags, especially in Utah, have little to no accountability as to how the public resource is being allocated, or how the money raised is being spent. In some instances, groups raise millions of dollars that just disappear into "administrative fees" or "Consultant fees." That's wrong, and it's just another form of poaching. "When dealing with these special auction or raffle hunting permits we are dealing with a public trust," said David Allen, president and CEO of RMEF. "It is imperative that we are as open and transparent as possible when we assume the responsibility of selling these permits." "Organizations should not become financially dependent upon the sale of these permits for their operating budgets, but rather find ancillary benefit by helping our state agency partners realize greater conservation revenues from the sale of these limited permits," he added. We're solidly behind them when they take on the corrupt practices of a few groups who are trying to undermine the ability of the average hunter and angler to get out, and go hunt. A tip of the Stormy Kromer to David, and the guys and gals at the Elk Foundation.